Every year we see some off-types in our public varieties that have a genetic mutation we call elongated upper internode. This mutation causes the internode below the panicle to elongate, resulting in panicles that stick above the canopy. Some have confused this abnormality with weedy rice. It seems that the occurrence of this abnormality may be related to weather - some years we see it more often than others. In any case, the frequency with which it occurs is so low that it does not affect yield. Over the past year, weedy rice has become a top issue in California rice, both for individual growers and for the industry as a whole. 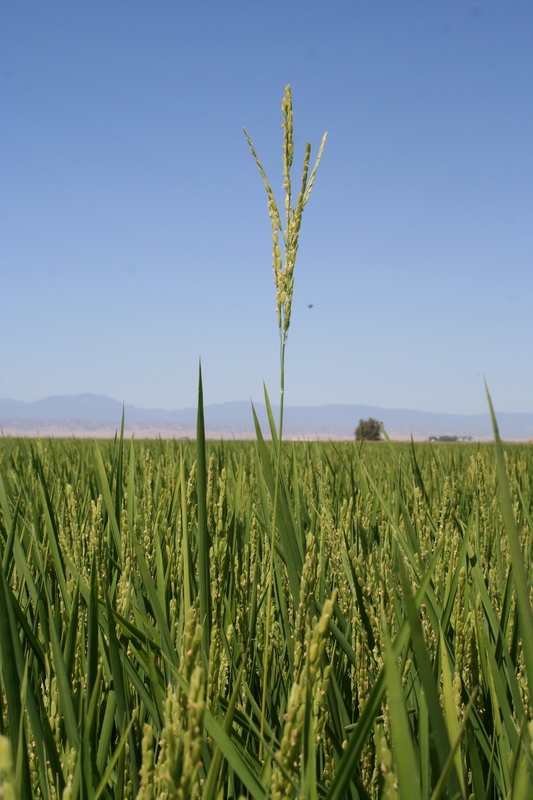 Working together, the University of California Cooperative Extension and the California Rice Commission have come up with a set of tools to assist in getting control of this pest. Of course, none of it would be possible without the input and cooperation of the Pest Control Advisers (PCAs) and California rice growers, who are the first line of defense in dealing with weedy rice. Additional assistance in material development and funding have come from the California Rice Research Board, the California Crop Improvement Association and the staff at the California Rice Experiment Station. 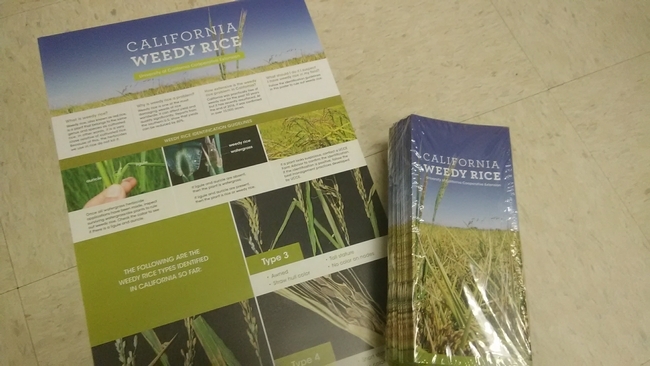 A new website, www.caweedyrice.com, contains all of the most up-to-date information regarding weedy rice in California. 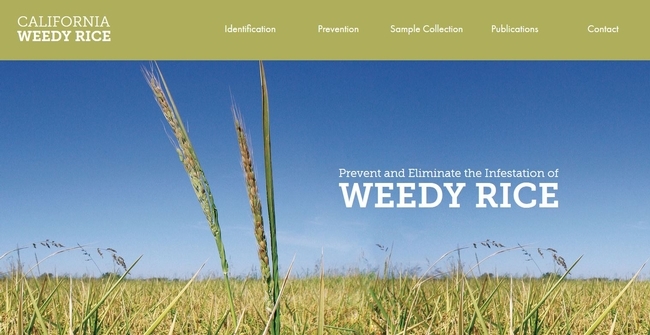 The website covers identification, management, and weedy rice sample submission. An identification pamphlet was mailed out by the California Rice Commission a couple of weeks ago to most growers and PCAs. If you need additional pamphlets, they are available at your local UCCE office. Identification posters will be distributed to Agriculture Commissioner's offices, PCA offices, and rice mills and distributors in each county in the next few weeks. They are also available at your local UCCE office upon request. 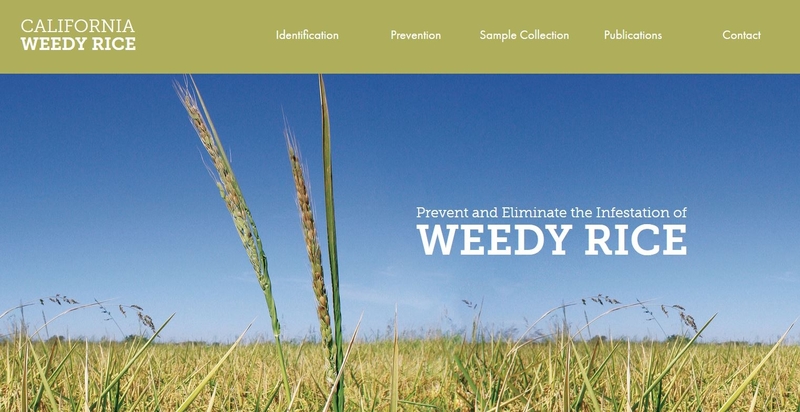 To report an infestation of weedy rice, a new app is also available for download from the Google Play and ITunes stores. The "Weedy Rice Reporter" app will let you send up to six pictures and aGPS location taken with your phone toUCCE RiceAdvisors so that we can confirm or rule out weedy rice. OnlyUCCE RiceAdvisors will be able to access any app submissions. 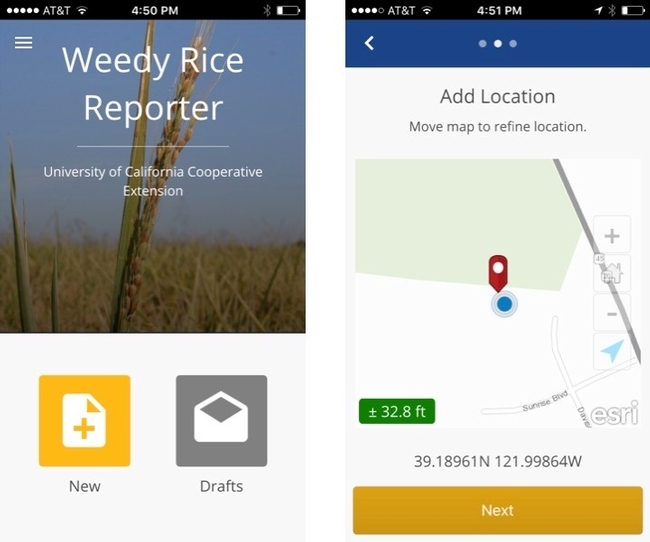 We hope that the app will help us identify infestations early so that management actions can be implemented to eliminate weedy rice from the fields. In the past year, the California rice industry has begun to deal with a new pest: “weedy rice”, also known as “red rice”. Weedy rice is a common weed in rice-growing regions of the world, and when infestations are high, it can significantly reduce yields. In the southern USA, losses have been as high as 60% when uncontrolled. In 2016, through the efforts and cooperation of rice growers and Pest Control Advisors, weedy rice has been identified on over 10,000 acres in Butte, Glenn, Colusa, Sutter, Yuba, Placer and Yolo counties. Although 10,000 acres may sound like a lot, it is still only a small percentage of the total rice acreage in California (about 2%). 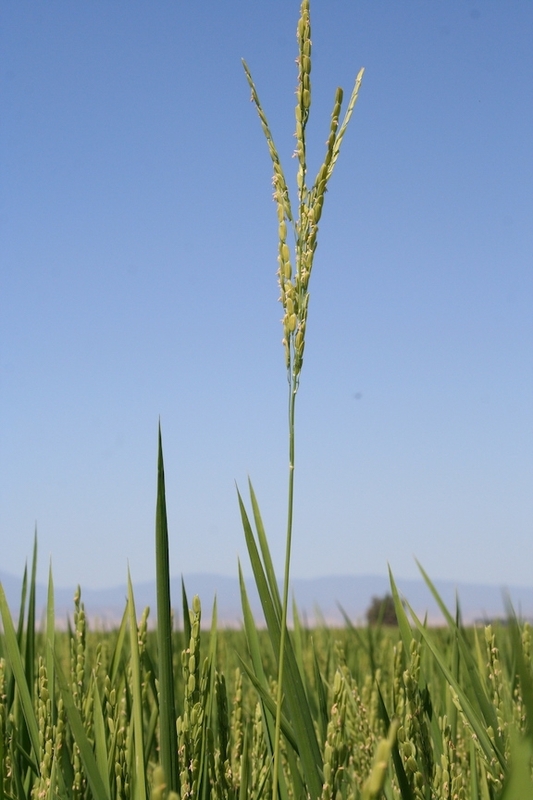 What makes "weedy rice" unique is that it is the same species as domesticated rice (both are Oryza sativa L.). This means that growers can only control weedy rice through non-chemical means, since any herbicides applied to control the weedy rice will also kill the crop. 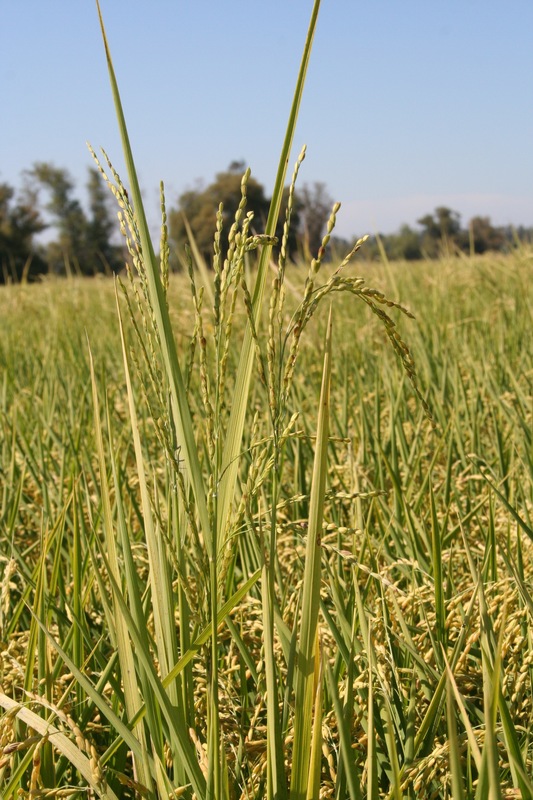 In the California rice cropping system, where chemicals are the primary method of weed control, growers can use cultural practices such as as a stale seedbed before the rice season. However, this can delay planting by as much as a month. Alternatively, growers can fallow or rotate with another crop, and if the infestations is high, this may be the best option. During the growing season, if weedy rice is found in the field, the only option that growers currently have is to hand-pull it out. 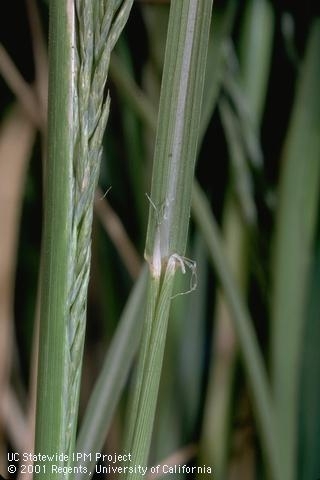 If grassy weeds remain in the field, check for an auricle and ligule (see photo below). If none are present, then the grassy weed is likely a watergrass species. 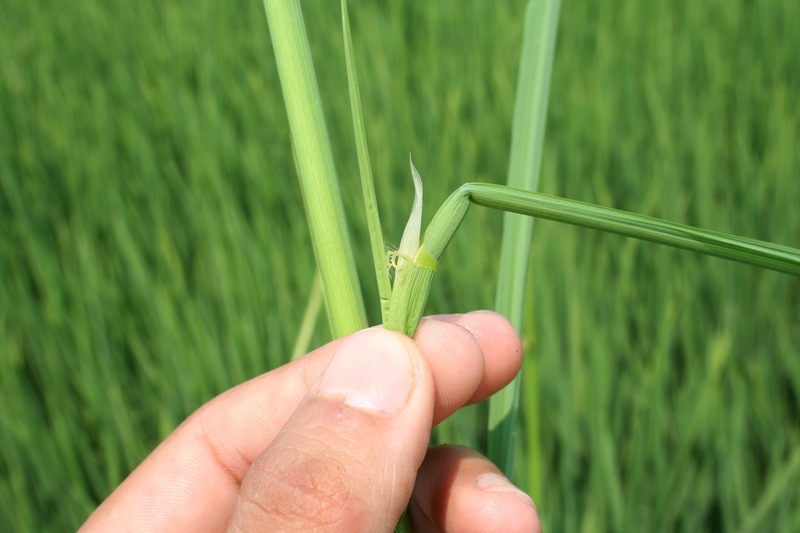 If an auricle and ligule are present, it may be weedy rice, and it is time to get help with identification. A PCA or UCCE Rice Advisor should be able to assist in identification. Once rice has headed (produced seed), weedy rice panicles and the panicle of the crop will look similar, so growers should look for any that are different than the planted variety. 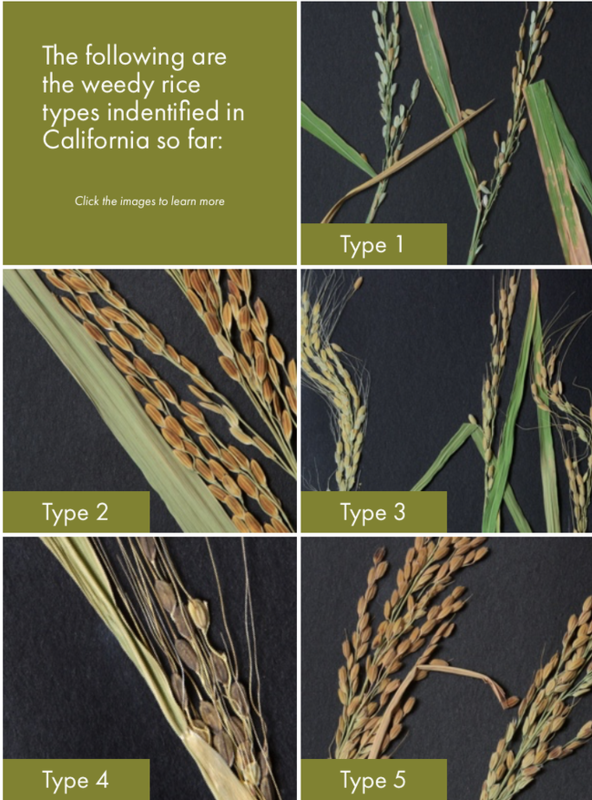 Again, a PCA or UCCE Rice Advisor can assist in identification. If the field is a certified seed field, then the California Crop Improvement Association (CCIA) should be called to identify the suspect plants. 1) Reducing milling quality: Due to the extra milling required to remove the red-colored bran, the number of cracked and broken kernels will increase, therefore decreasing the value and the price paid to the rice grower. If the rice is to be milled and sold as brown rice, large amounts of red bran can reduce the milling yield significantly. 2) Hybridization with domesticated varieties: Weedy rice can cross with domesticated varieties in the field. If there is a high number of weedy plants in a field, the odds that this will occur is even greater. 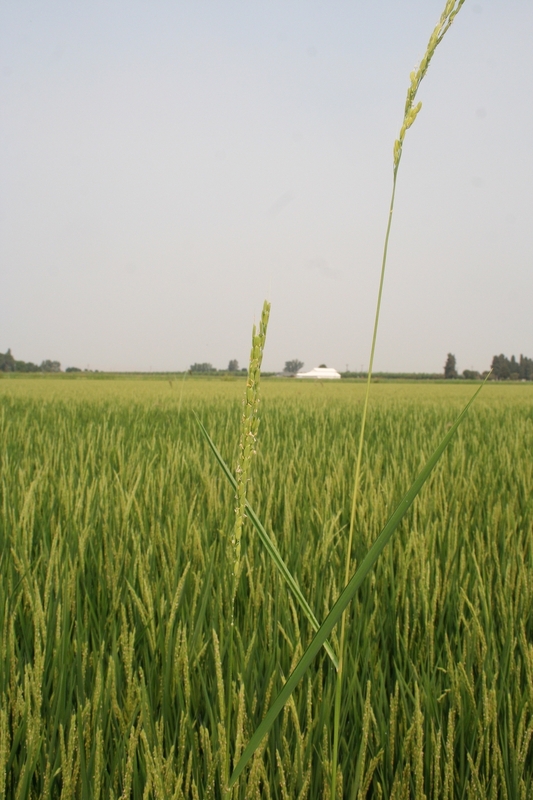 The hybrids (between weedy rice and domesticated varieties) may have different characteristic than their parents (more vigorous growth, for example). 3) Yield decreases: Since weedy rice shatters (falls off of the panicle before harvest), once the population reaches a critical threshold in the field, yields can decrease significantly. 4) Weed management cost: Weedy rice cannot be managed by chemical means. Therefore, any control efforts have to be through cultural practices. One of the most effective methods is to hand-pull it out of the field. Labor, as we all know, is very expensive. 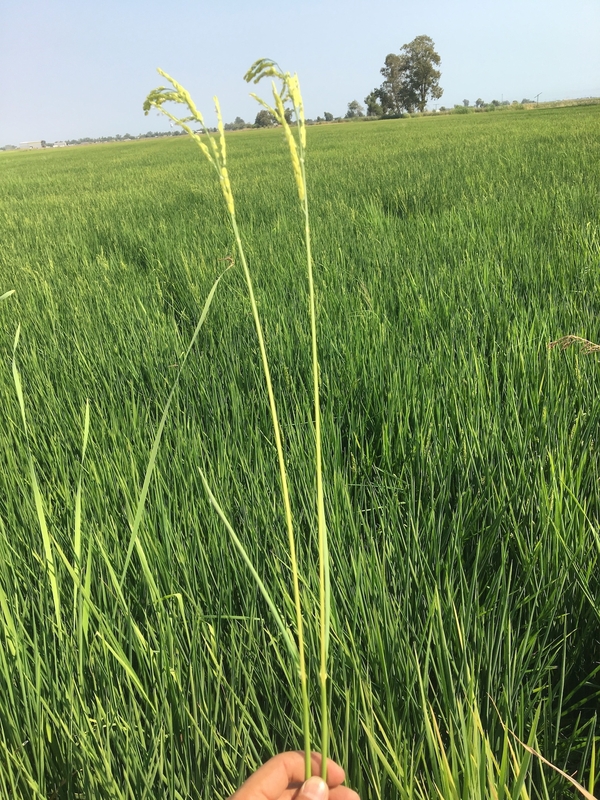 Weedy rice is a manageable pest in California rice, but it will only be possible through the joint efforts of rice growers, PCA's and members of the rice industry. It will take accurate identification in the field, as well as timely and sustained control efforts in the field.